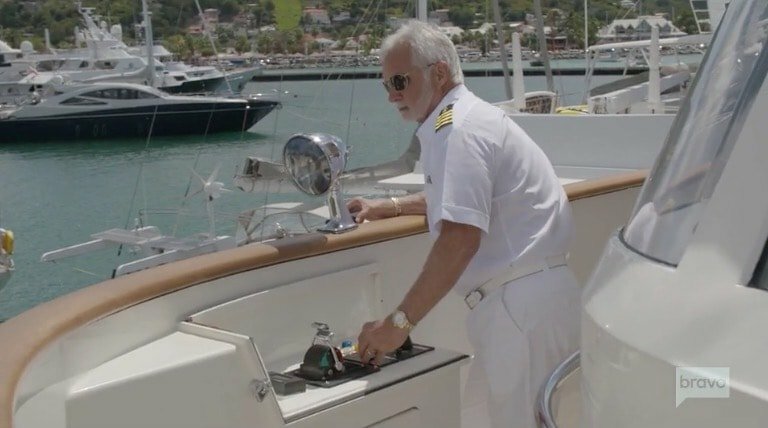 The best way to watch Below Deck is by following along with Captain Lee Rosbach’s live tweets. The Stud of the Sea has no problem calling people out. He threw a lot of shade at Bosun Chandler Brooks and Third Stew Caroline Bedol. Caroline has really been struggling this season. She’s the odd one out in the interior with Kate Chastain and Josiah Carter, who became instant best friends. She’s also dealing with a foot injury. Pretty much no one is a fan of Chandler- socially or professionally. Captain Lee is a class act through and through, but he even he can’t help but snap from time to time. This season of Below Deck has been overflowing with drama. It seems like no one can get along during work shifts. Not only that, but they can’t get through a night at the club without drama. Chandler Brooks disappointed Captain Lee Rosbach with his leadership skills, or lack of leadership skills. Chandler has been annoyed Rhylee Gerber for the entire season. There has been tension between Caroline Bedol and her fellow stews Josiah Carter and Kate Chastain. Now she’s injured and unable to perform many job duties. That’s sure to add fuel to the fire. And there’s even more drama during tonight’s episode. 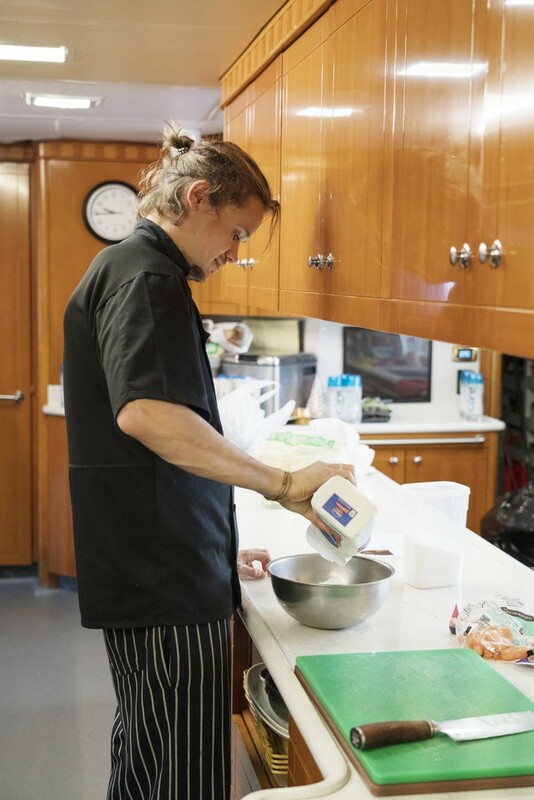 Below Deck Recap: Everything Is Popping! 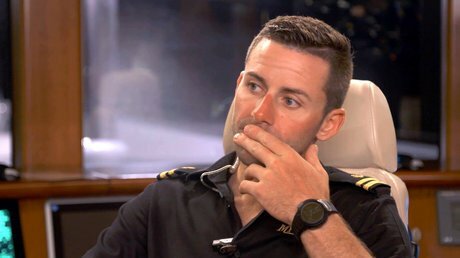 Why does Below Deck always have bosun problems? It’s basically a guarantee on these shows that the third stew and the bosun will be a mess and all season everyone will be moaning and groaning over their ineptitude and bad attitude. Well, here we go again! Caroline Bedol is the little chihuahua that can’t. Work that is. With a swollen foot giving her a sulky disposition, Caroline begs Kate Chastain for ways to work lite. Like avoiding lates. Josiah Carter barely speaks, he mostly rolls his eyes and snorts, but when he does speak he’s usually groaning, “Ugh Caroline…” He has no idea why a third stew thinks she’s in any position to complain about what hours she works. Technically speaking, the crew on this season of Below Deck is very competent. There are hardly any “green” crew members, like in years past. Even so, that doesn’t mean that there’s less drama. In fact, there’s more drama within the crew and it’s probably because everyone thinks that they know what they’re talking about and refuses to take direction. ZOMG – a sea monster took over Caroline Bedol‘s food, implanted it with an egg which will soon hatch into live young, that turn into slimy clear-colored creatures that eat Kate Chastain‘s nasty attitude. And then turn her into a giant Cheeto after midnight. Or at least that’s my Halloween version of what happened on last night’s Below Deck! What actually happened is that Chandler Brooks continued to show the same leadership skills as a teenager morphed into an adult in Freaky Friday. He’s also, as Rhylee Gerber so eloquently told us, just a really big “prick.” Indeed. Maybe HE is what punctured Caroline’s toe and caused it to swell up voluminously it will eventually take over her entire body and turn it into one of the giant pillows they drop over the side of the boat? You know the ones Rhylee *gasp* dragged for the second time even though she knew better! 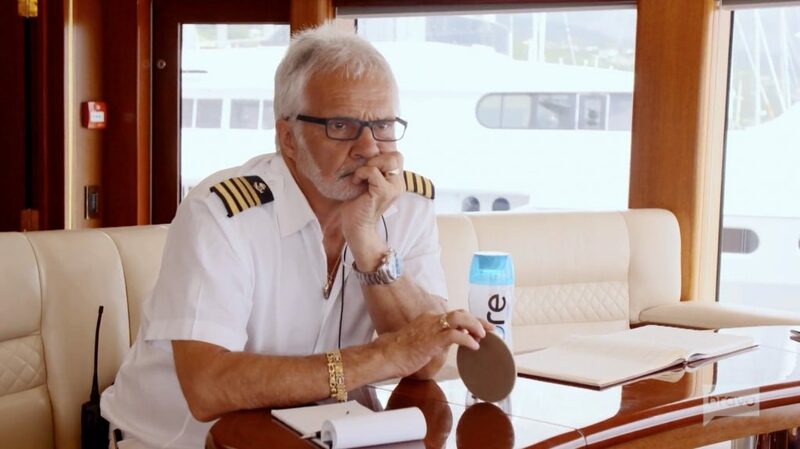 There’s no doubt about it: Captain Lee Rosbach is one of the most respected Bravolebrities. Everyone has high praise for him and there are plenty of Below Deck cast members and viewers that fear disappointing them. However, this season’s bosun Chandler Brooks is not one of those people. Defying Captain Lee is not a good move to make as a crew member or a cast member. This is not going to go over well on the boat or with the Below Deck fans. Below Deck Recap: All Caroline Needs Is Love! This season of Below Deck is going to boil down to a game of who can make Caroline Bedol crack first. It’s Kerplunk Caroline Of The High Seas Edition! Available now at Shop Bravo. Everyone with eyes, ears, and a pulse has noticed that Caroline is hot under her dress white for Chandler Brooks. Well everyone except Chandler has noticed this. He’s preoccupied with not upsetting the barrel of crazy that is Miss Alaska Mental Patient Rhylee Gerber. After the excursion with Ross Inia to the cliff diving where Rhylee had the mistaken impression that she was captaining her own Alaskan sea vessel, Ross can’t take her constant drama so he bypasses Chandler completely and goes straight to the high command: Captain Lee Rosbach. I was totally prepared to watch Lee take Ross down for tattling and going outside of the chain of command, but Lee commended him for his even-keeled approach and for keeping him informed of Chandler’s ineptitude. This tells me Lee is already aware that Chandler is one life preserver short of steering the dinghy and is eying Ross as the natural bosun. We are just three episodes into Season 6 of Below Deck, but there is already so much tension among the deck team. Spoiler alert: that is not going to disappear in Episode 4. Bosun Chandler Brooks actually goes to Captain Lee Rosbach with his complaints about deckhand Rhylee Gerber and it has nothing to do with her constant mentions about being a captain in Alaska. He actually wants the captain to fire her. In the trailer for Season 6, it’s teased that Captain Lee fires someone, but is it Rhylee? Isn’t it a little early in the season for that? We will find out tonight.